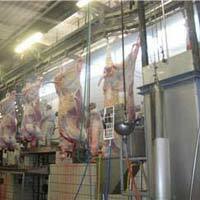 We are the leading manufacturer and exporter of meat processing machinery, slaughter line equipment and slaughter house. We have high quality standards and technical sound products that is reflected in each of our machines. We have talented team of engineers & technicians with valuable industrial experience in our well established manufacturing unit. Dr. Froeb (i) Pvt. Ltd.